Need a Crown with Pink and White Roses? Look no further. You found it! 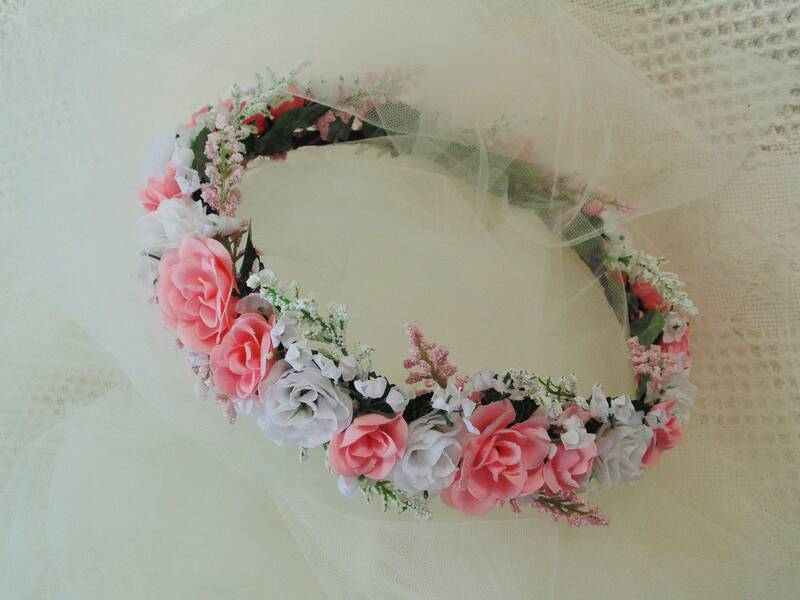 OOAK, Timeless beauty- a Rose crown for a Special Day- Make it MEMORABLE. Hand decorated in Silk Roses, tiny white silk flowers and pink and white flocked accents, and a bit of greenery....All tied into grapevine wires-BENDABLE/ADJUSTABLE. **Please be mindful of small parts and keep away from little ones:), Please!